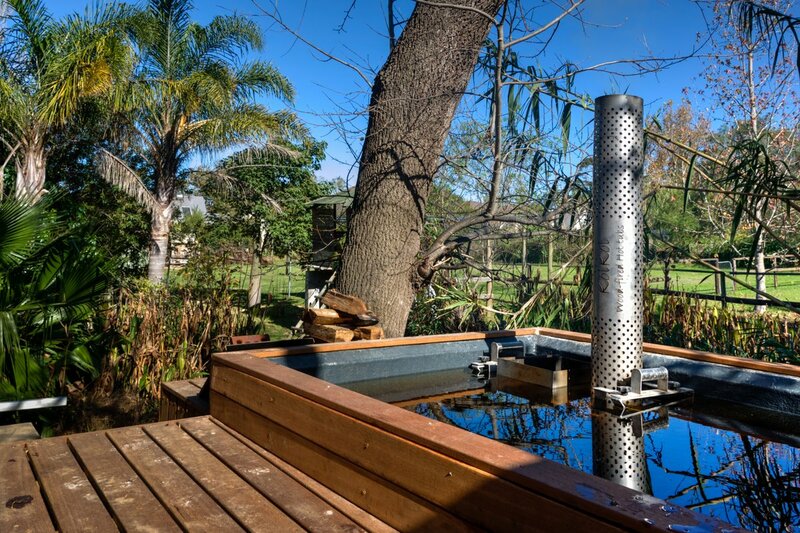 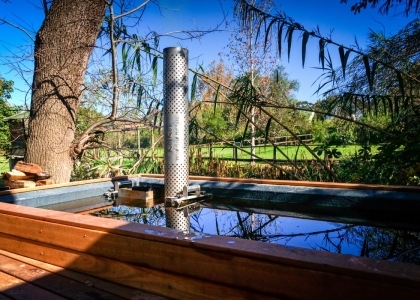 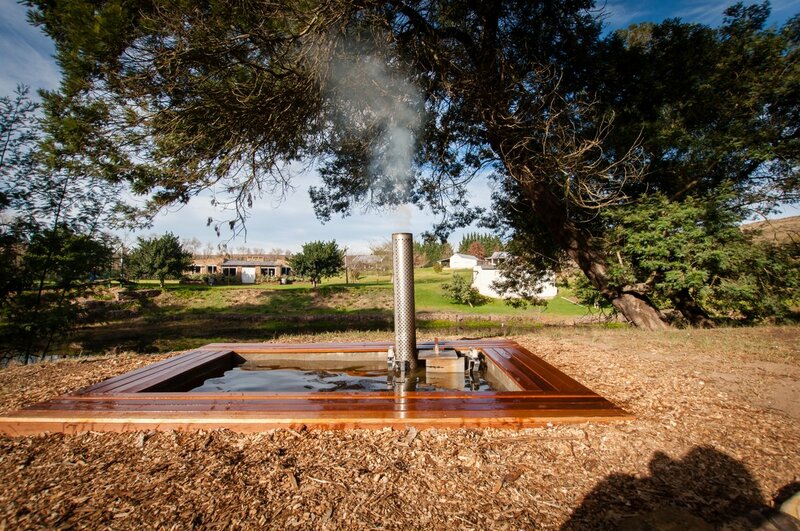 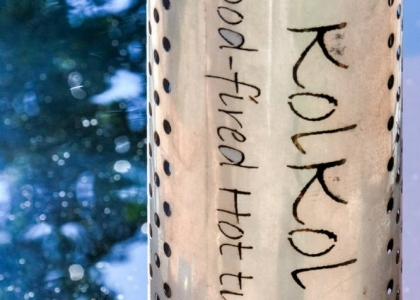 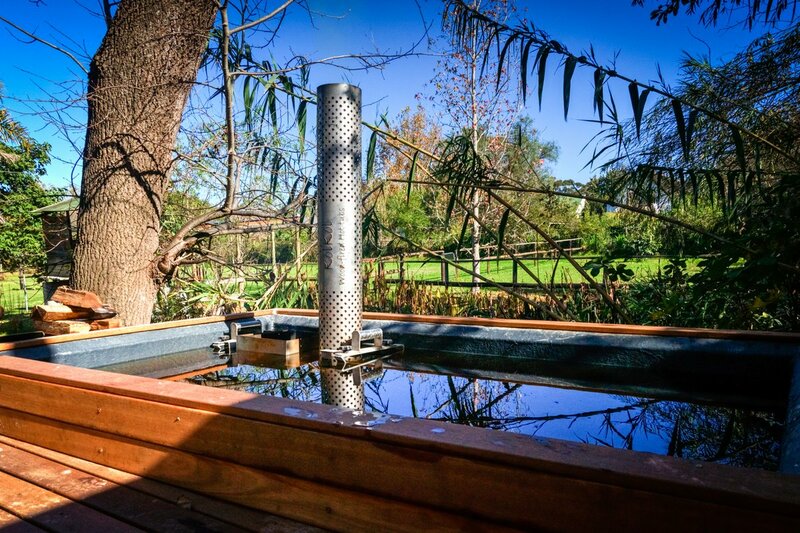 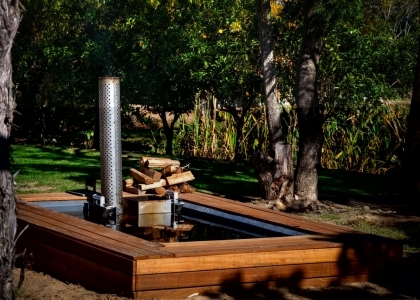 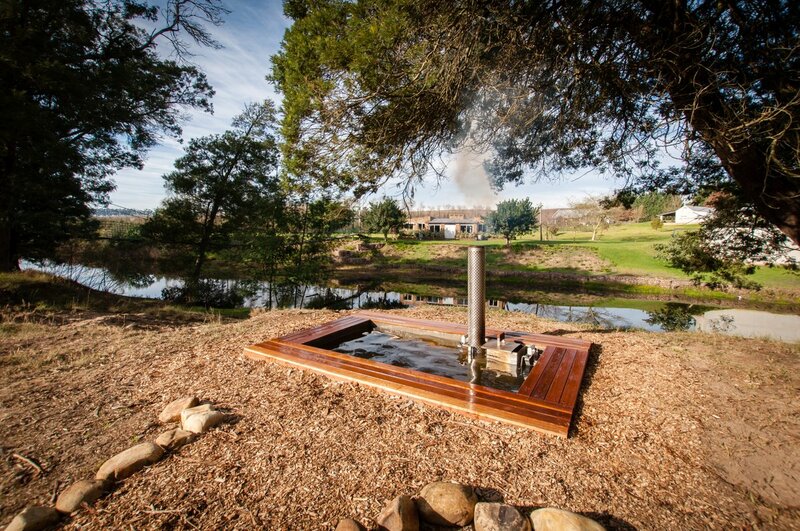 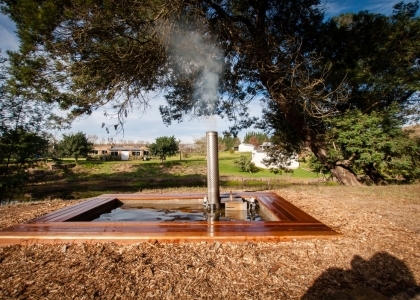 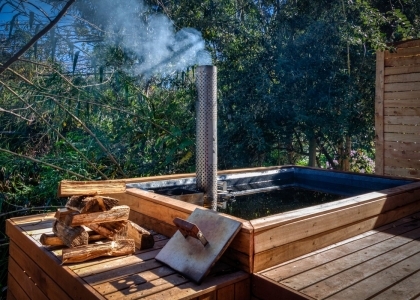 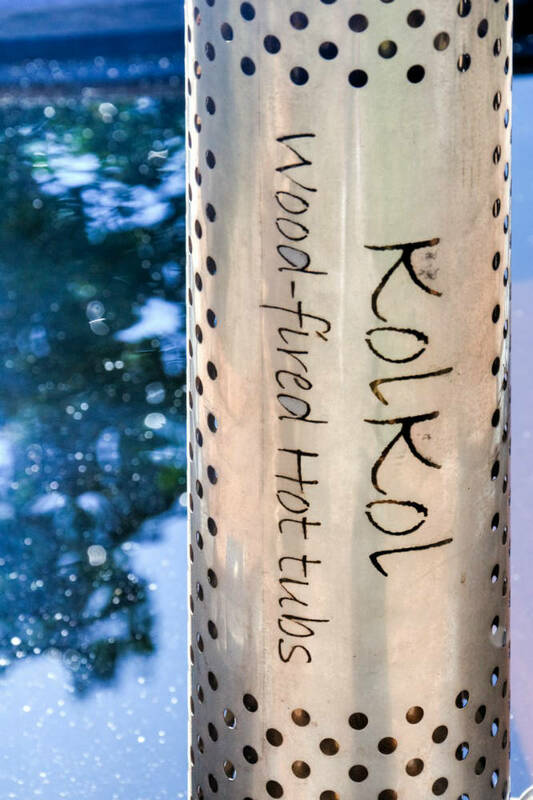 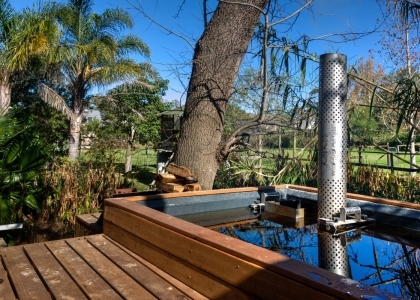 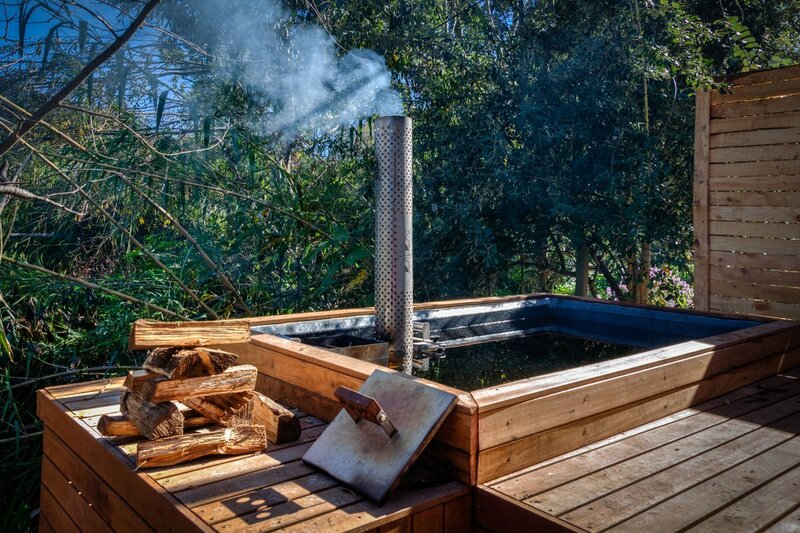 A new addition to our farm accommodation is our outdoor wood-fired hot tubs. 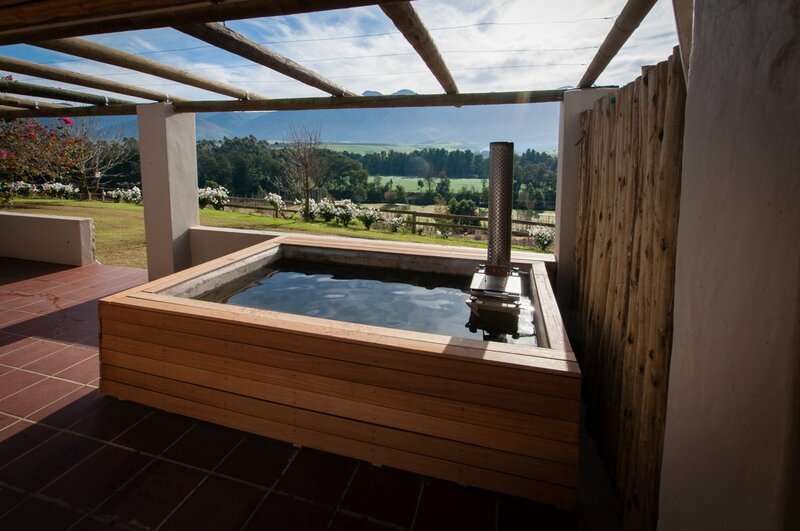 We have two hot tubs at our Greyton accommodation in Vigne lane.The DeHoop Victorian House (10 sleeper) and the The DeHoop cottage (4 sleeper) each have their own hot tub. 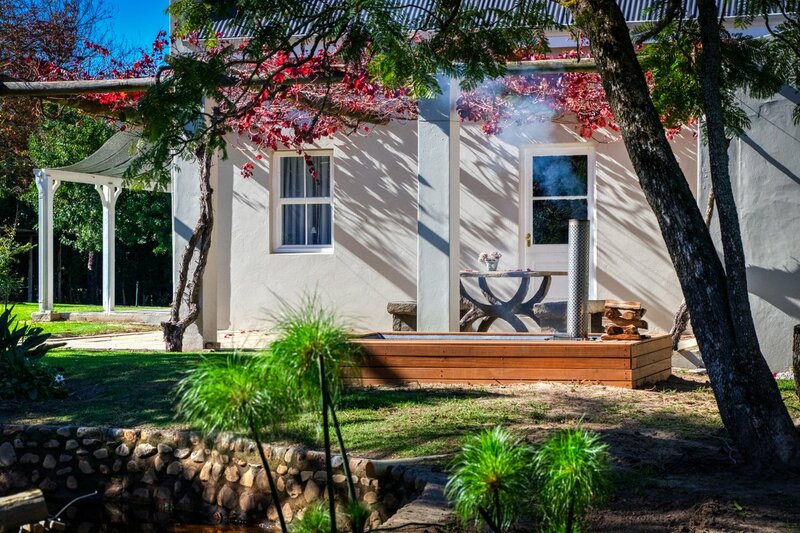 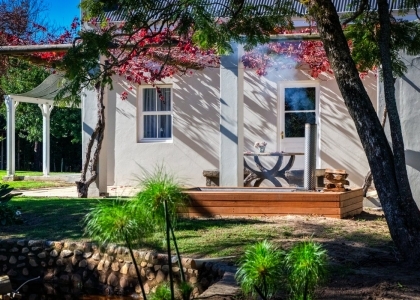 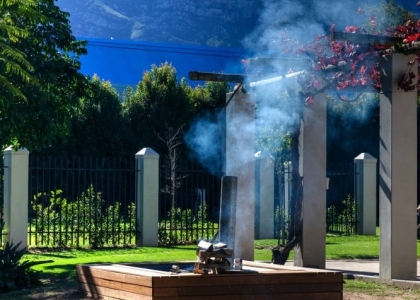 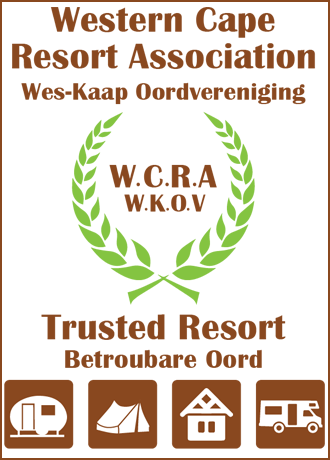 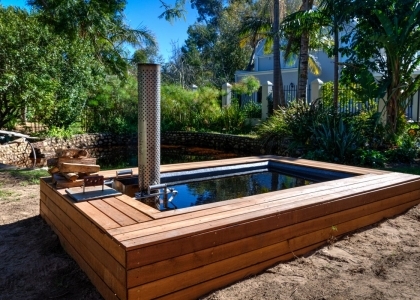 The DeHoop Victorian house has the hot tub close the braai and outdoor entertainment area. 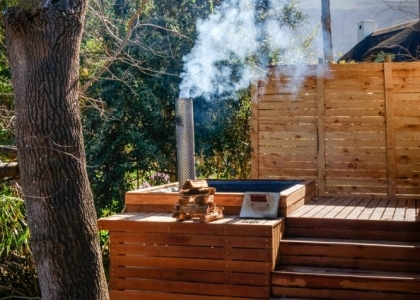 Easy to watch the kids or enjoy a quick warm up while you braai. 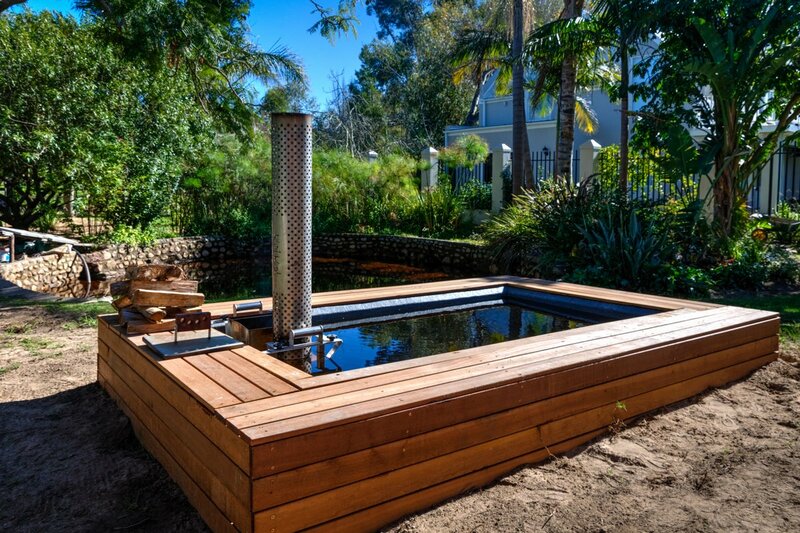 The DeHoop cottage has the hot tub nestled around the corner of the house making it a bit more private. 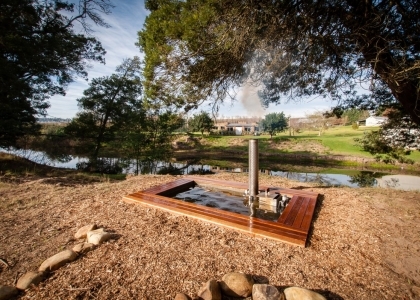 The Safari Tent area has its own communal wood-fired hot tub in front of the tent kitchen area which is perfect for a group of friends or just to relax in and unwind. 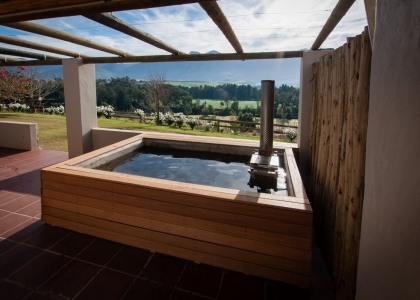 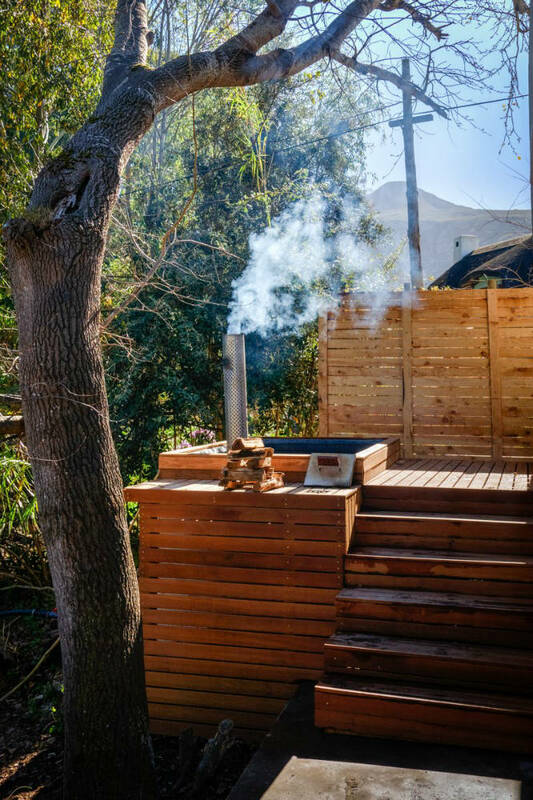 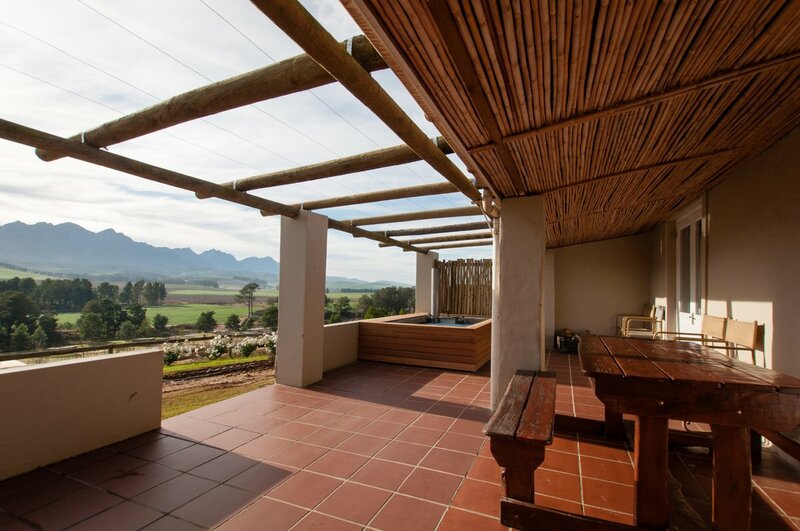 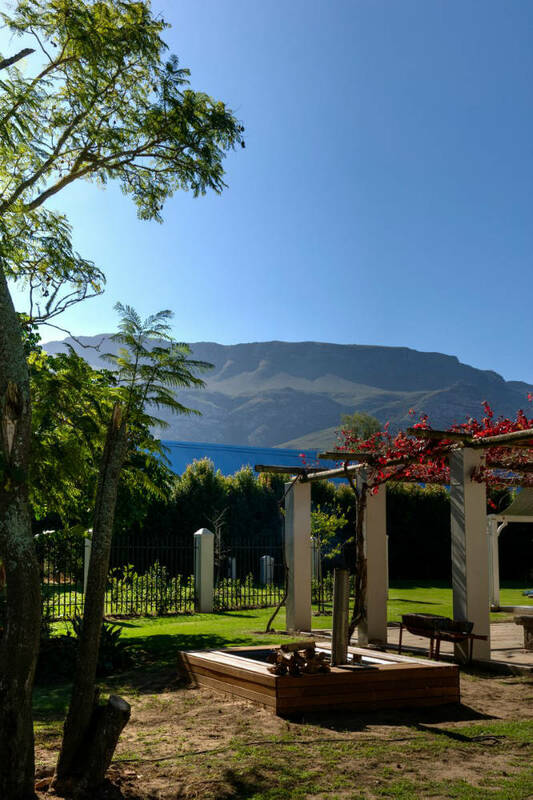 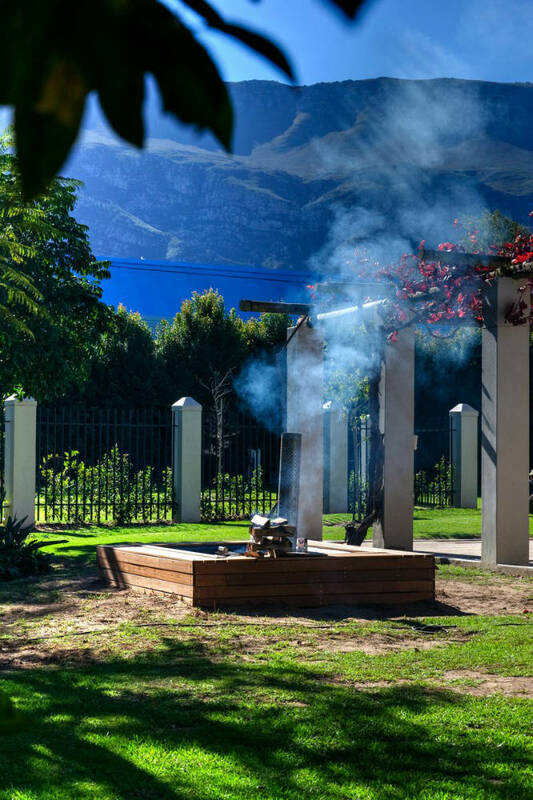 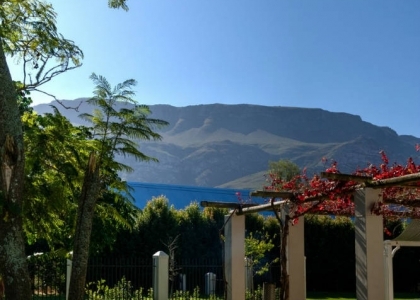 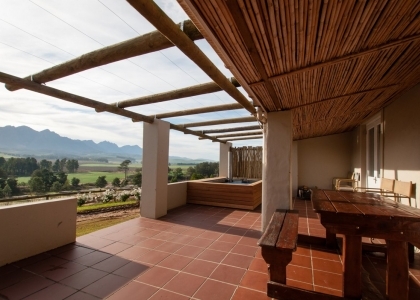 Uitsig cottage number 4 has a wood-fired hot tub on the patio with amazing views of the Riviersonderend mountain range.